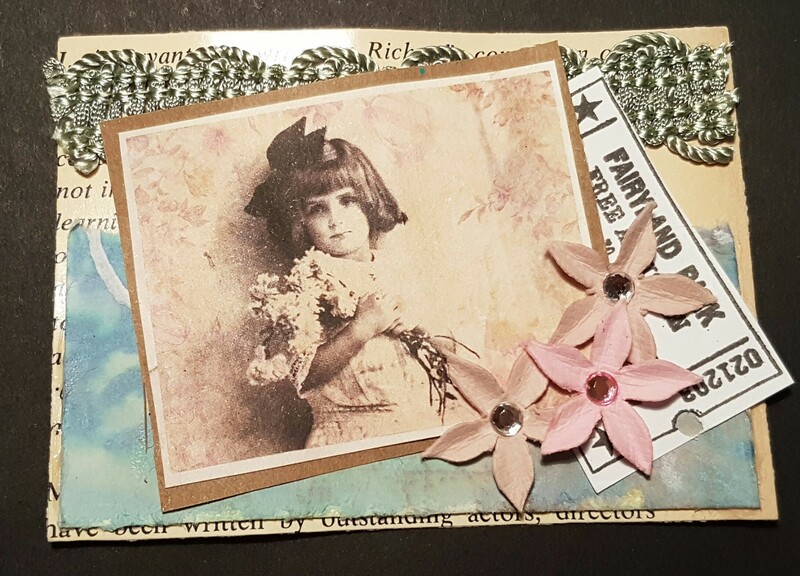 I thought I should just do a post with so the random atcs left to blog from last month…. So here goes. 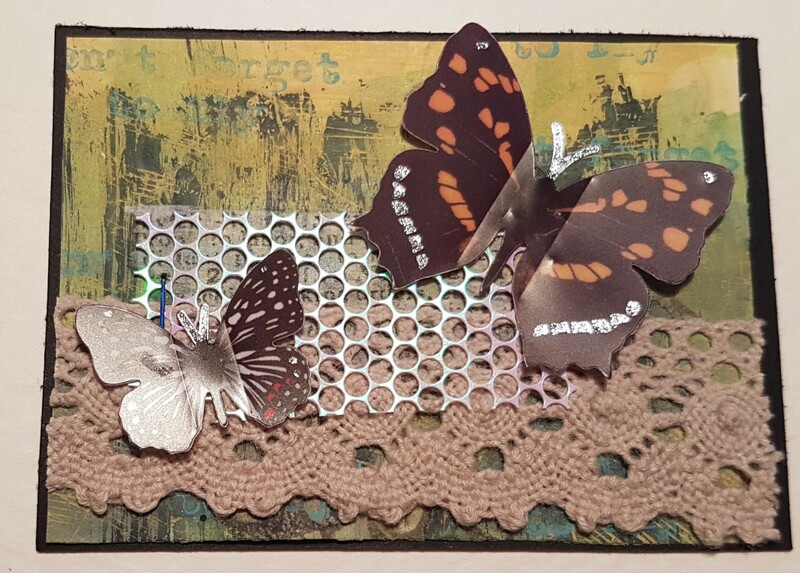 This is a painted background and then some bits and pieces from the desk … pretty butterflies! 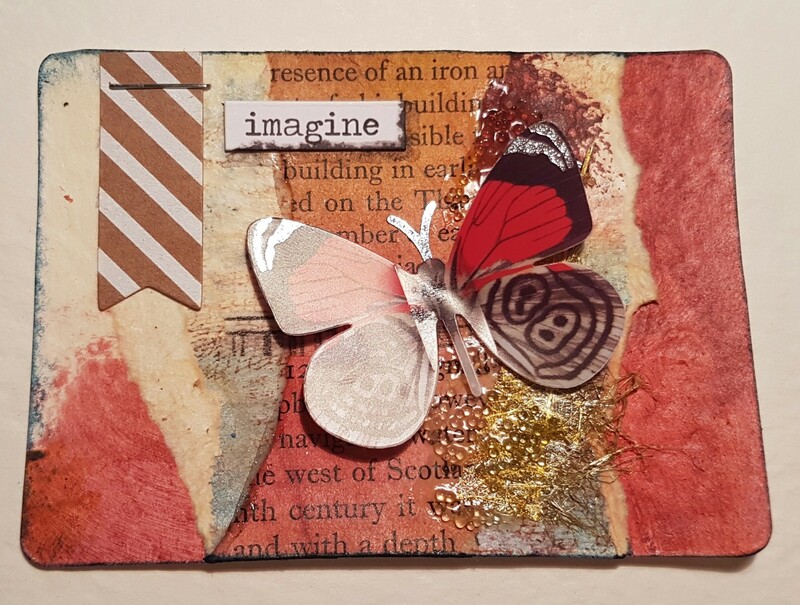 Another pretty butterfly sticker and a background that has lots of layers of ink and paper and paint … pretty. A picture from the Artful Days goodie box plus some bits from other swaps. Also love the moody background piece using distress oxides which is an offcut from another project. Right I think that’s all the random bits from March finished off. And three more for the challenge.